Tbilisi: Sabchota Sakartvelo, 1986. 210p., very good hardcover. Translation of the Georgian epic. London: C. Hurst & Company, 1982. Hardcover. xiii, 278p., very good condition in a price clipped dj. 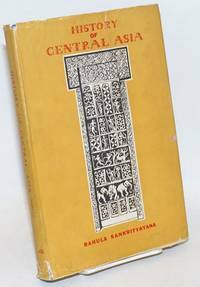 Calcutta/New Delhi: New Age Publishers Private Ltd, 1964. Hardcover. xiv, 307p., illustrated with a few plates (coins), vignette period imagery and a line-drawn map, hardbound in 10x6.5 inch papered boards titled in bold red, a blue cloth backstrip, and dust jacket. The lower edge of the casing is very abraded with lots of card showing, the backstrip has a sprinkle of spots, and the jacket is edgeworn and dirty with verso tape repairs. Text is quite good: sound, clean and unmarked. 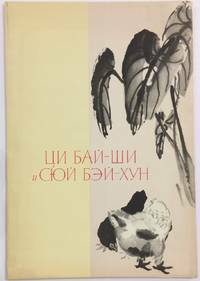 A brief publisher's note quotes the author: "During my travels in Russia and Central Asia I came in direct contact with the peoples there.." We note a personal, at times conversational tone running throughout. Rahula wrote in Hindi, translations, favored Russian-language transliterations ("The English and their pronunciation are the worst. The Germans are better..
New York: Macmillan Co, 1958. Hardcover. x+557p., preface, footnotes, notes, addenda, abbreviations, table, index. 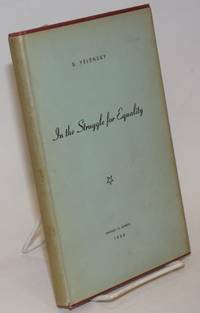 First edition, but not a collectable copy as the brown cloth boards are edgeworn with a bit of fray and spine panel is quite dimmed with handling soil. Textblock is clean and unmarked, a sound reading copy. A History of Soviet Russia. 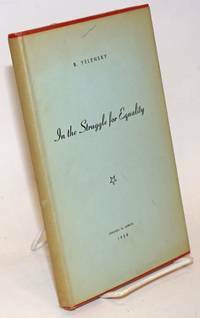 Fifth volume in the series. 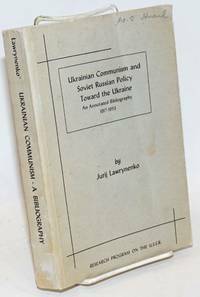 Ukrainian Communism and Soviet Russian Policy Toward the Ukraine. 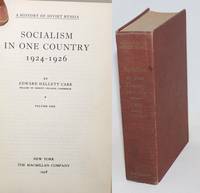 An Annotated Bibliography 1917-1953. 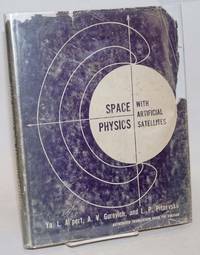 Edited by David I. Goldstein, Foreword by John S. Reshetar, Jr.
New York: Research Program on the U.S.S.R., 1953. Paperback. xxviii, 454p., text photocopied from typed mss (reproduction slightly smeary but perfectly legible), softbound in plain printed grey wraps, 8.5x5.5 inches; front cover a little soiled with handling, has a pencilled ownership name ("W. C. Hucul") upper corner, and both covers bear light creasings. Entirely clean within, no markings, sound binding, good copy. Laid in find 5p of "Addenda and Corrigenda": typewritten, quite detailed, corner-stapled. Inside front cover are listed Research Program directors (five!) and executive committee members, amongst whom none other than R. Gordon Wasson, the psychedelic mushroom celebrity (and bankers' friend). Moscow: Mosfilm, 1963. Elaborate flyer advertising the movie with b&w production stills on green and purple backgrounds, softbound as an 8.5x6.5 inch brochure which folds out to a 17x8.5 oblong having two paper-sizes staplebound together. 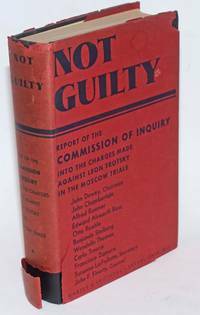 Cover is rubberstamped Made in USSR, the glossy paperstock bears light creases and handling, a sound, clean, good to very good copy. 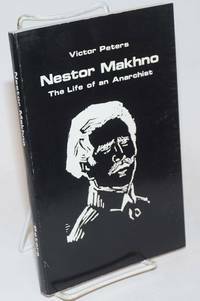 Unclear if a retelling of Kronstadt, but anarchists are the villains. 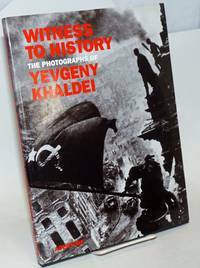 New York: Rizzoli International Publications, 1990. Hardcover. 439p., extensive illustrations, many color, 9.75x12.75 inches, very good condition in an edge worn dj. 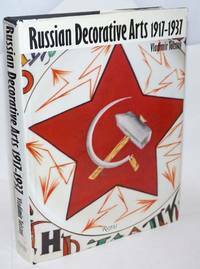 Translation of Art decoratif sovietique, 1917-1937, orignally published in Russian. 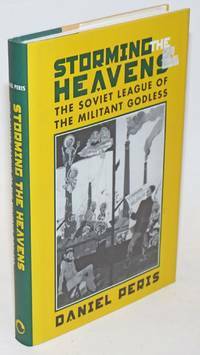 Moscow: Progress Publishers, 1978. Hardcover. 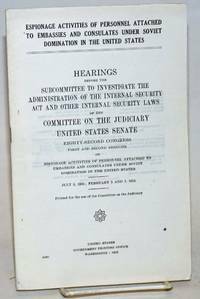 540p., rubricated titlepage, nice clear print, the fourth printing of a 1970 issue. Hardbound in 8x5 inch openweave blue cloth boards, spine-titled gilt, in dust jacket. Clean, sound and unmarked, a very good copy. Moscow: Progress, [196-]. 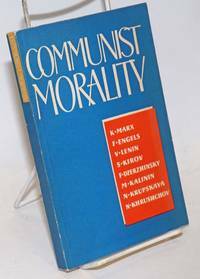 206p., very good paperback. 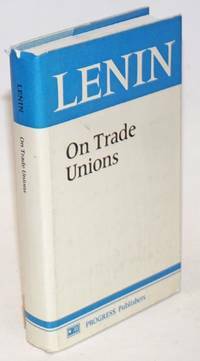 Selections from the works of Marx, Engels, Lenin, Kirov, Krupskaya, and others. 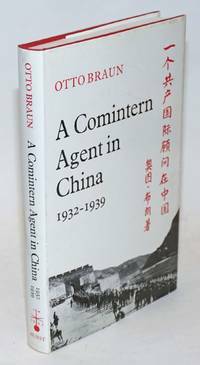 Ithaca: Cornell University Press, 1998. Hardcover. 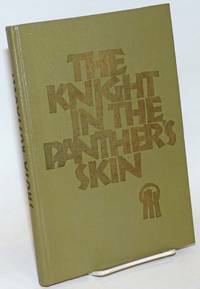 xii, 237p., hardbound first edition in clothbacked boards and dust jacket. Aside from a small remnant sticker to a corner of the dj, an unblemished copy: sound, clean, unmarked, near-new. New York: Consultants Bureau, 1965. Hardcover. x, 240p., running text with swarming math formulae on every quarto leaf, hardbound in blue papered boards enclosed in badly chipped and rubbed dust jacket. The casebinding, the book itself, is quite edgeworn with minute roughings-up at head, tail and corner-tips and severe marginal sunning. Hinges are perfectly sound, endsheets and entire textblock, sound, clean and unmarked, a good reading copy. FYI, none of the chipping of dj has affected dj texts (prefatory material & publisher's ads for other Russian physics texts in English). Winnipeg, Canada: Echo Books, 1971. Paperback. 133p., shelfworn wraps, second printing. 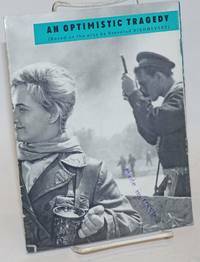 Moscow: Foreign Languages Publishing House, Undated; postwar. 662p., illustrated with frontis portrait of the gentleman and a couple diagrams, hardcover in 8x5 inch in khaki cloth boards titled in salmon pink and pale green. A completely sound copy with a few muddy smudges to covers, endsheets a little toned, text leaves unblemished, good to very good. 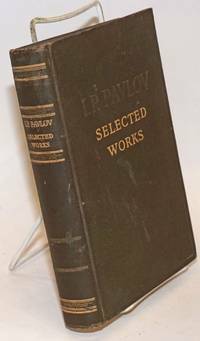 We've combed the terminal footnotes section for Pavlov's off-the-cuff appraisal of rivals and contemporaries (as jotted down by his students); he is merely on simmer with Yerkes' work with apes, with John Locke's notion of inborn ideas, and even with Mary Becker-Eddie [sic]; when it comes to Henri Bergson, a mere "reactionary French philosopher-idealist. Gestalt psychology is a "reactionary trend." Spengler of course is a reactionary. London: Serpent's Tail, 1998. Paperback. 208p., very good first English-languate edition trade paperback original in pictorial wraps. 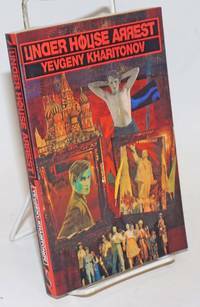 Posthumous publication of autobiographical fictions written by the proscribed Soviet homosexual Utopian dissident and poet who died in 1981. Moscow: Sovetskii khudozhnik, 1959. Folio containing twelve loose leaves reproducing paintings by the two artists; complete. All very good in original wrap-around folder.